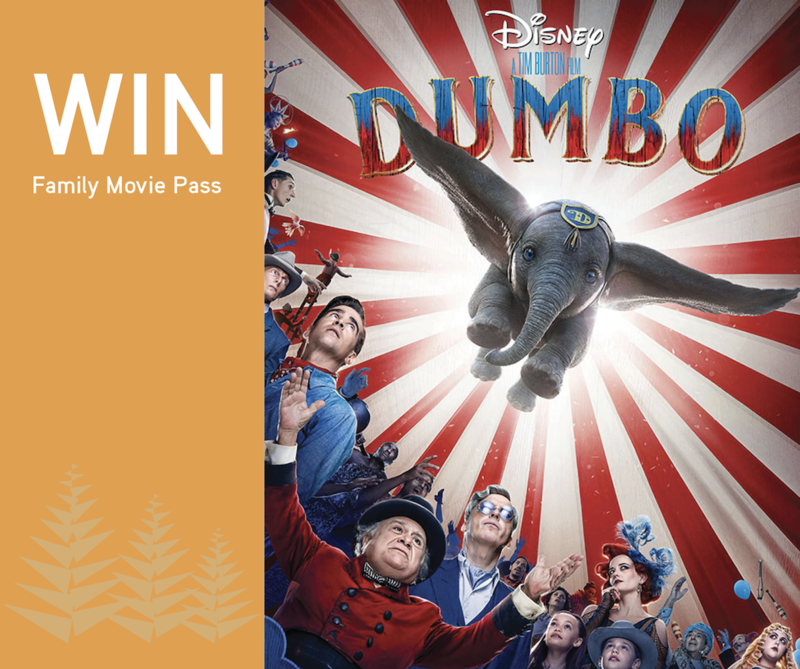 Win one of 3 family passes to Disney’s DUMBO! We’re giving away 3 family passes for Disney’s “DUMBO” in cinemas March 28. T&C’s apply; Three winners will be selected at random and announced on our Facebook page. Prizes to be collected from Primewest Cottesloe Central.